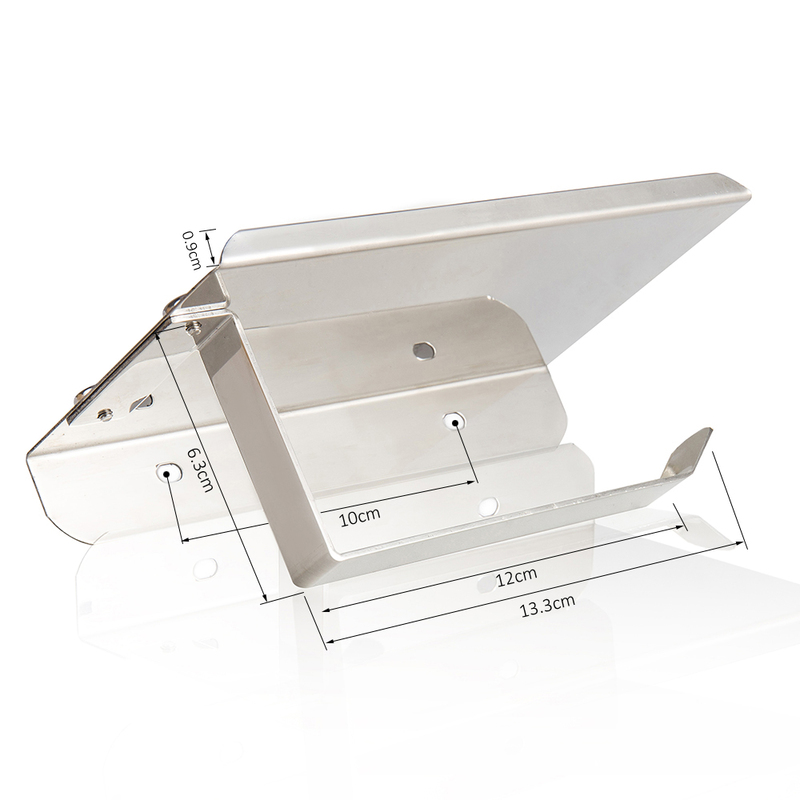 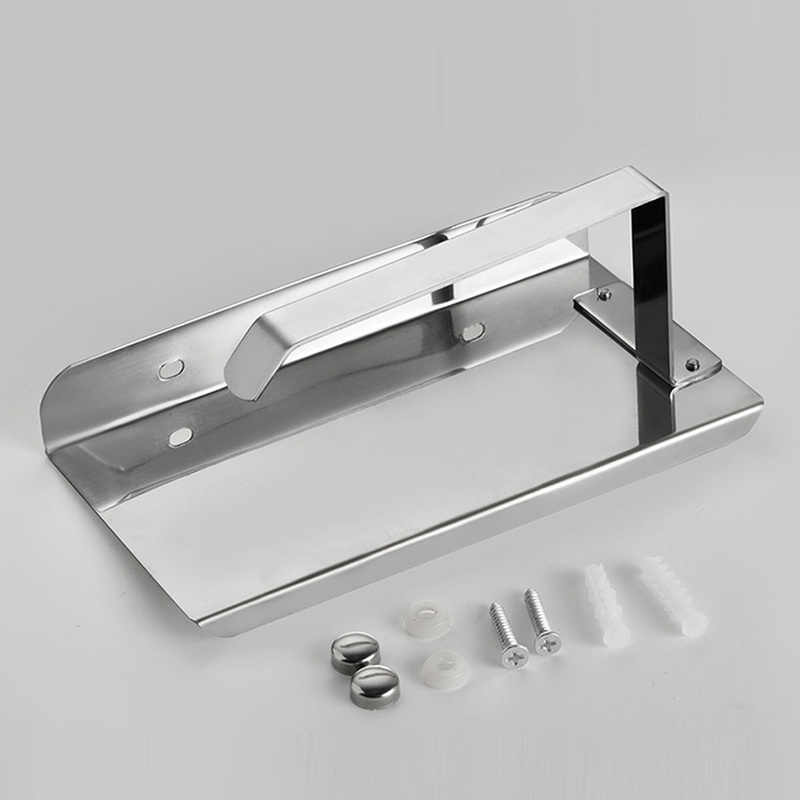 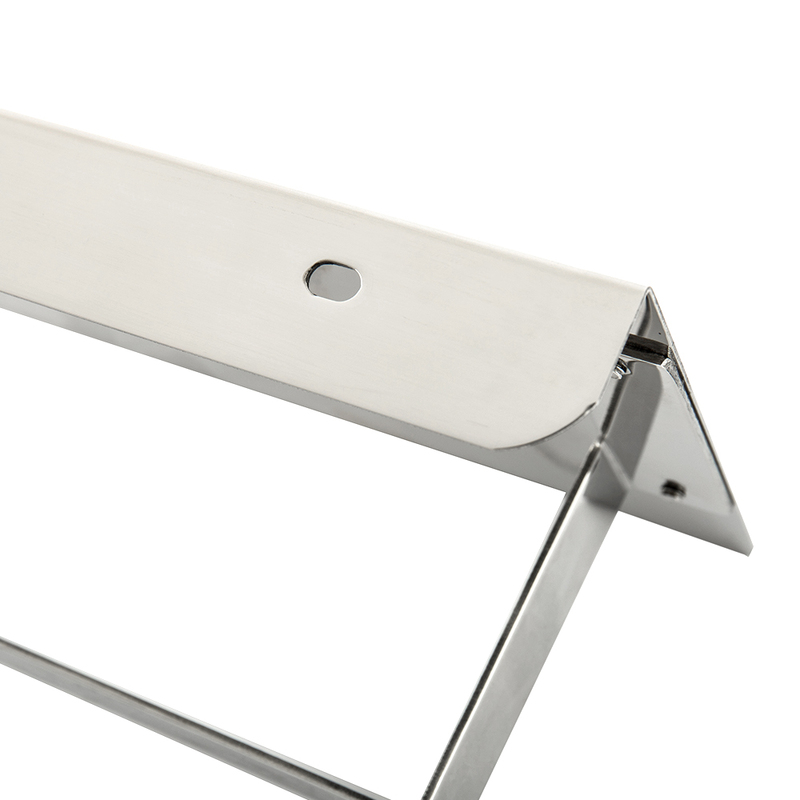 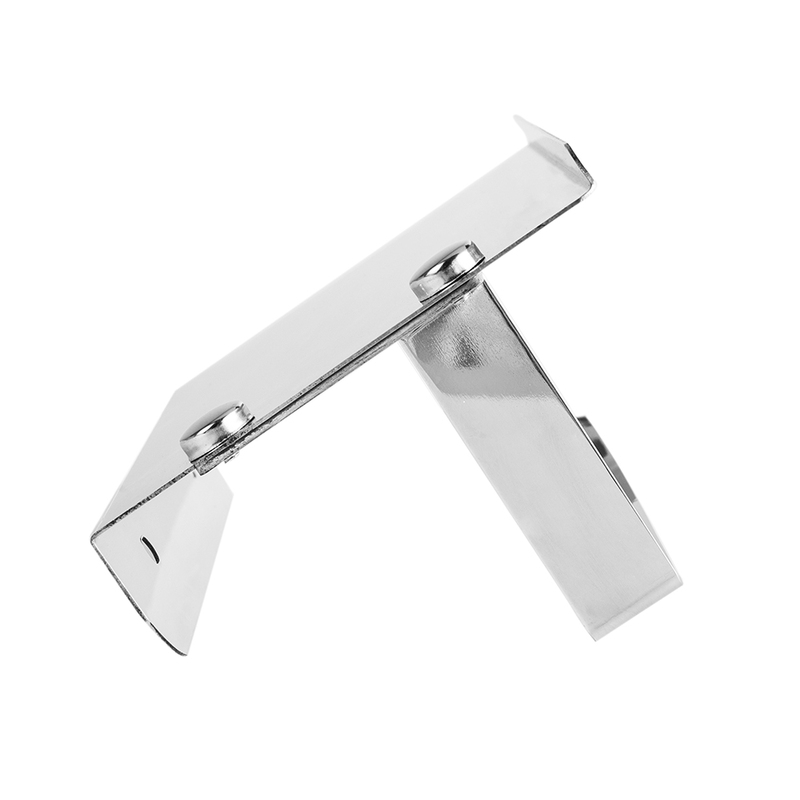 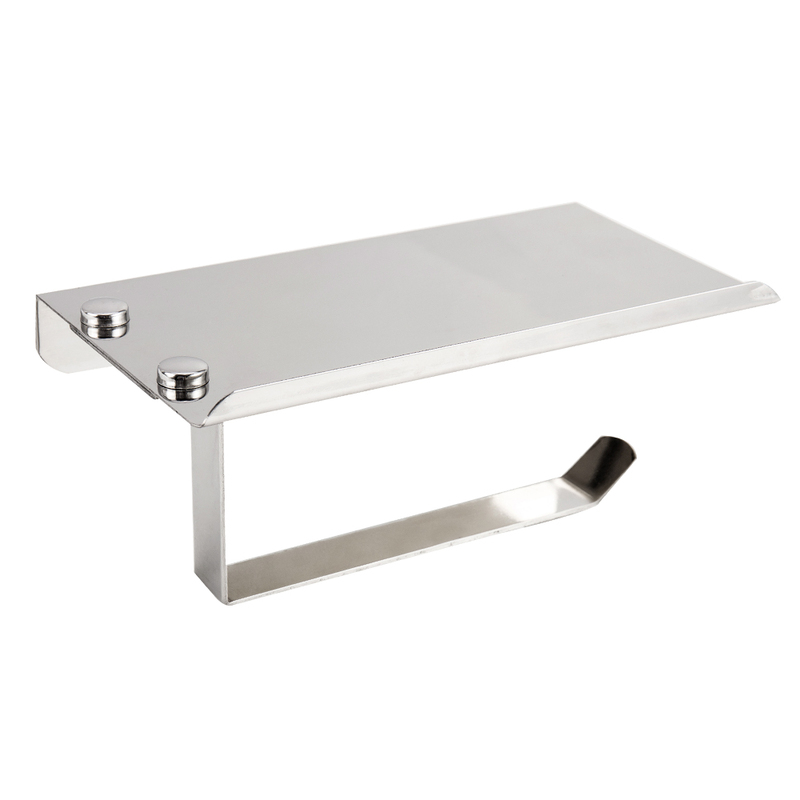 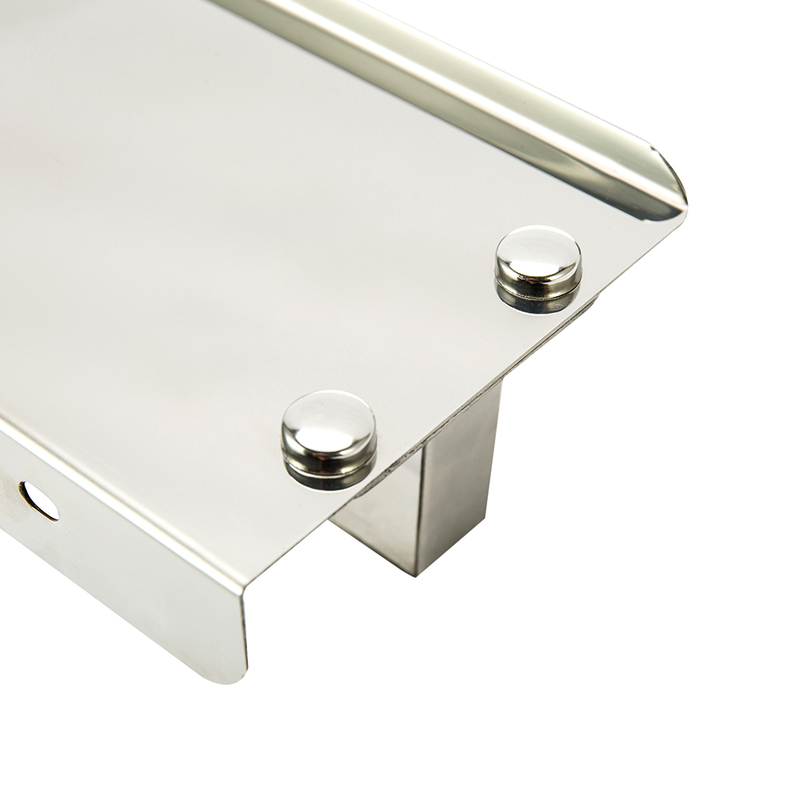 The material of paper holder is stainles steel.It is a multi-function paper holder. 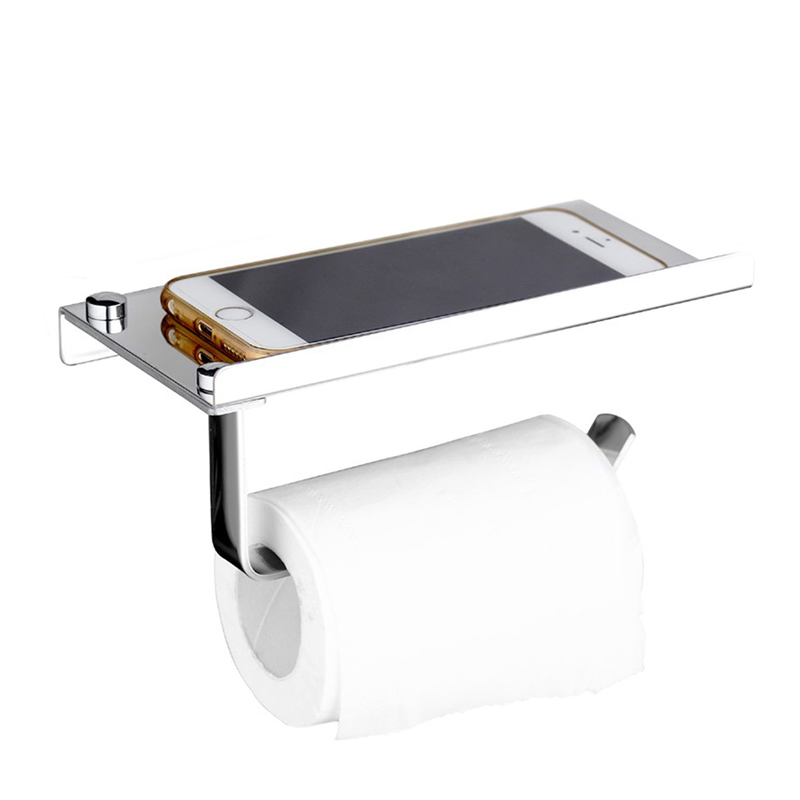 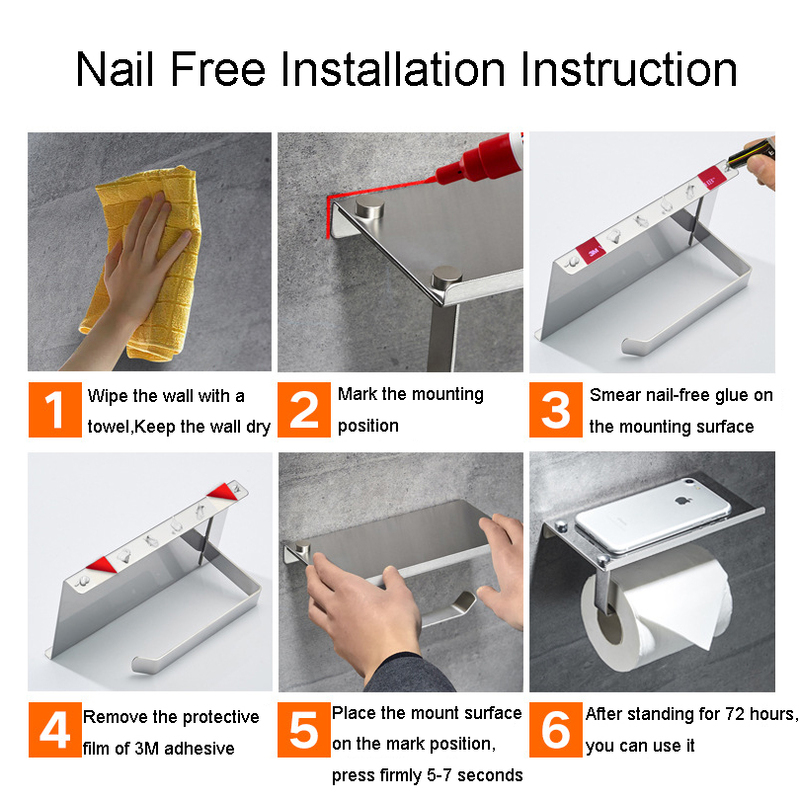 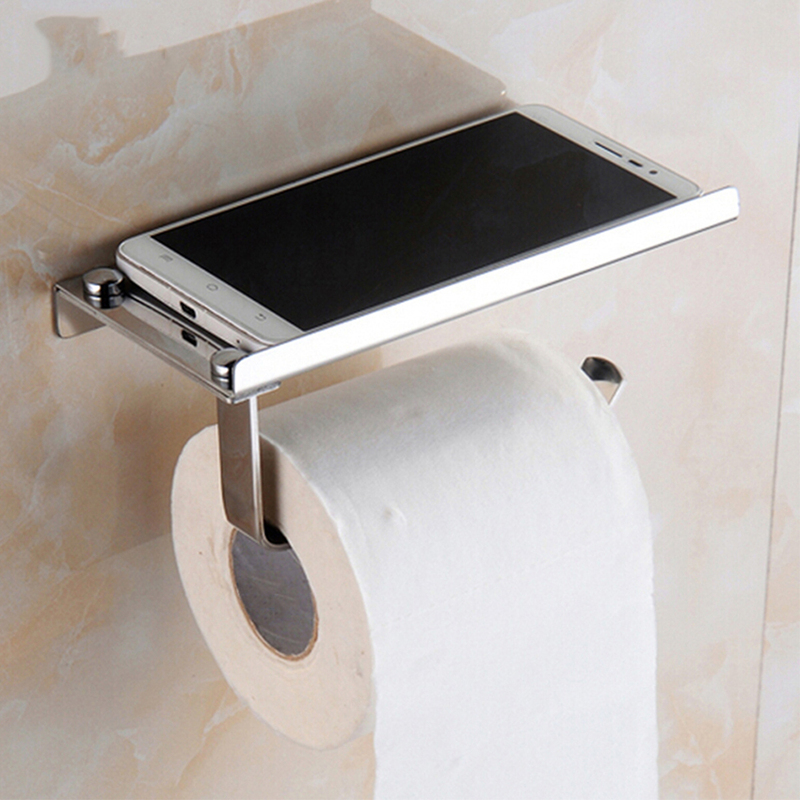 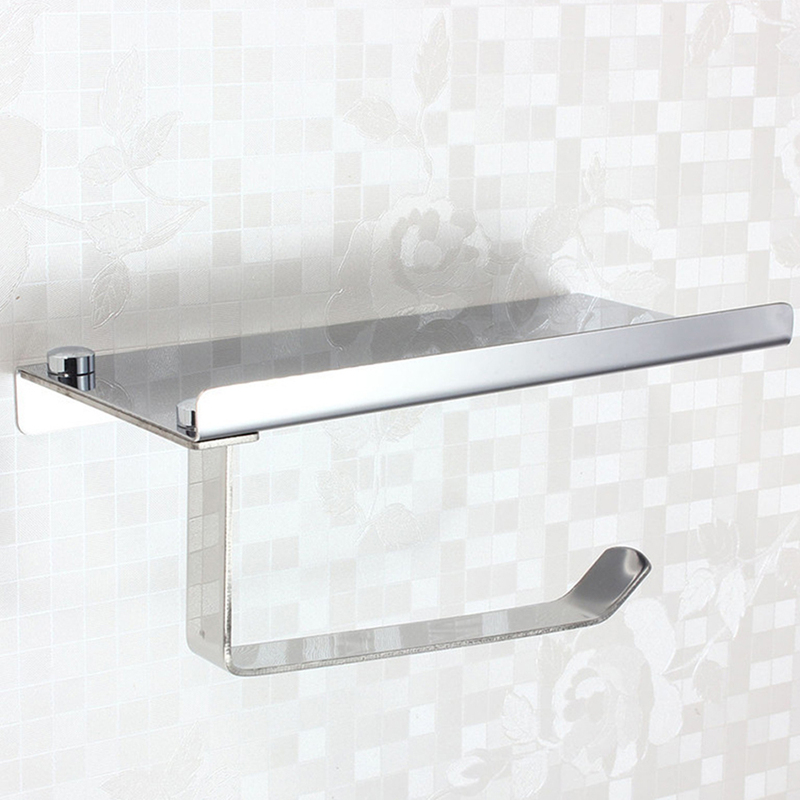 You can put phone wallet or other small articles.The anti-shedding design of paper rack is effective of preventing the toilet paper from being dropped. 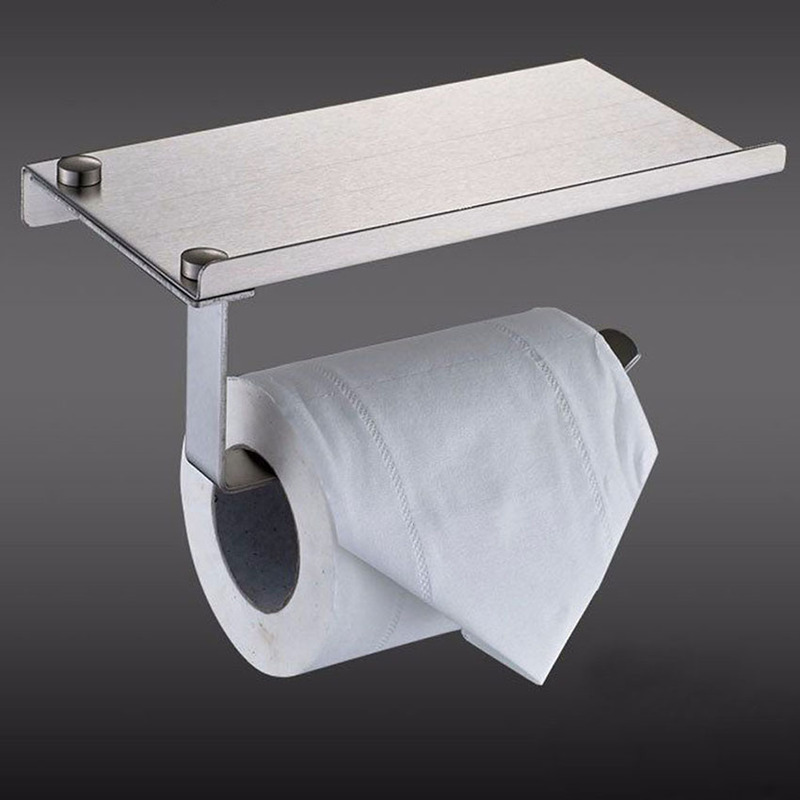 The large spacing is convient of putting toilet paper roll. 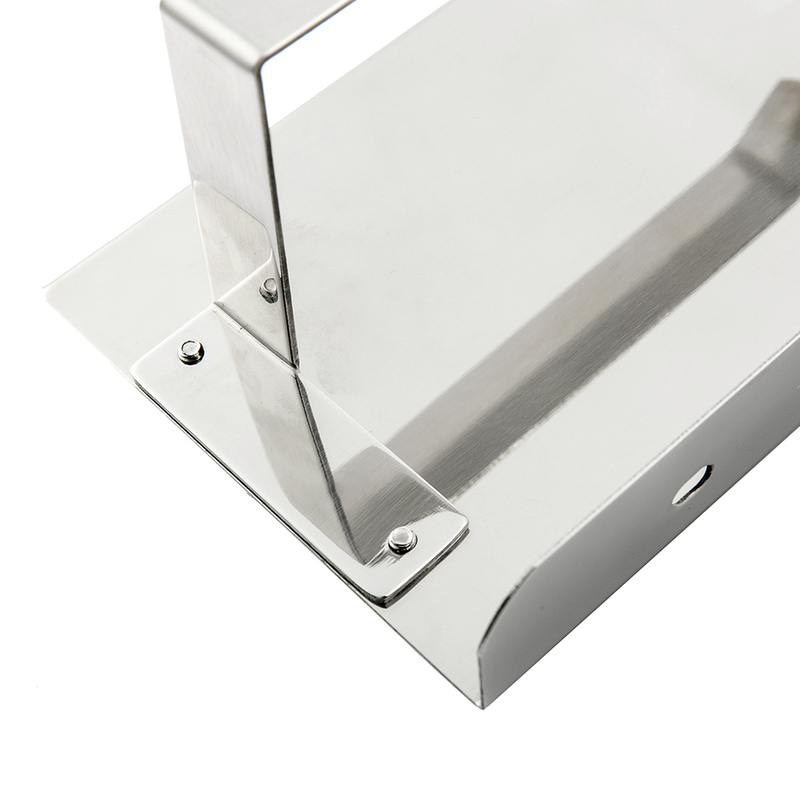 The 2 antiskid caps in one side can prevent accidental falling.